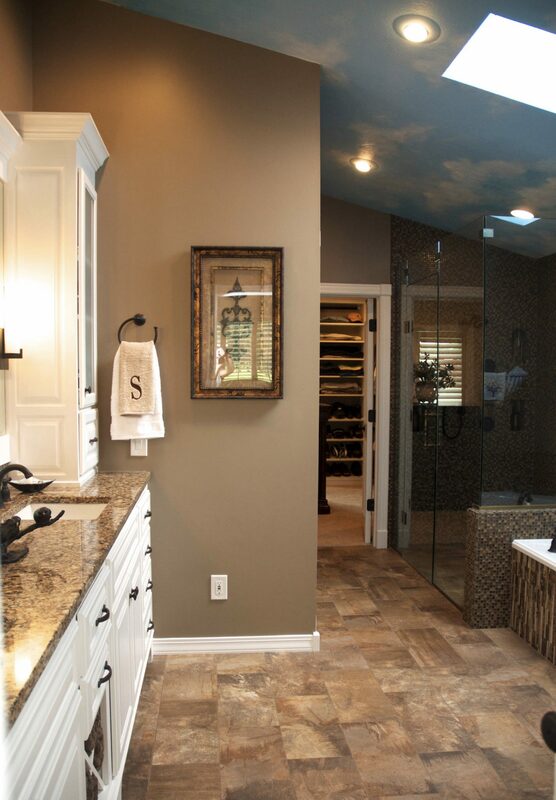 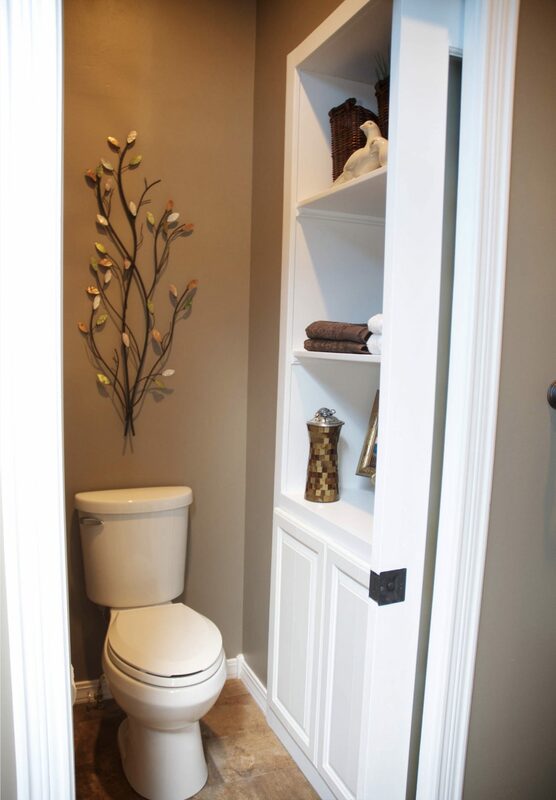 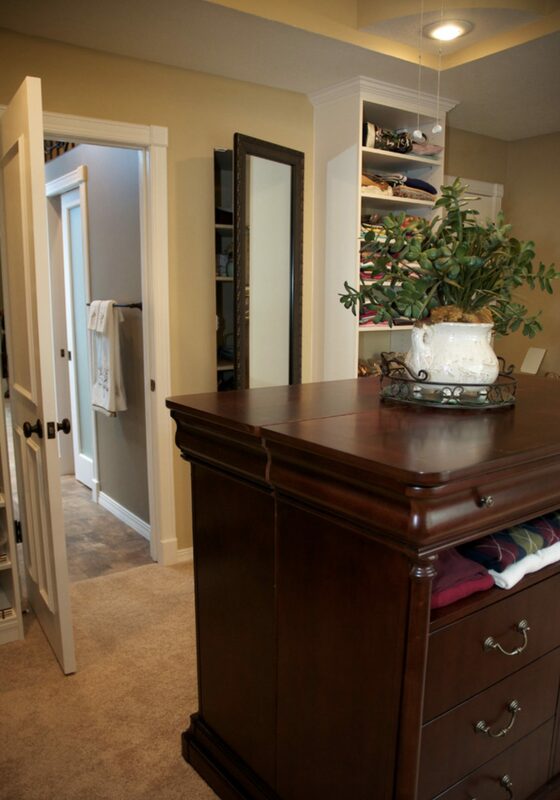 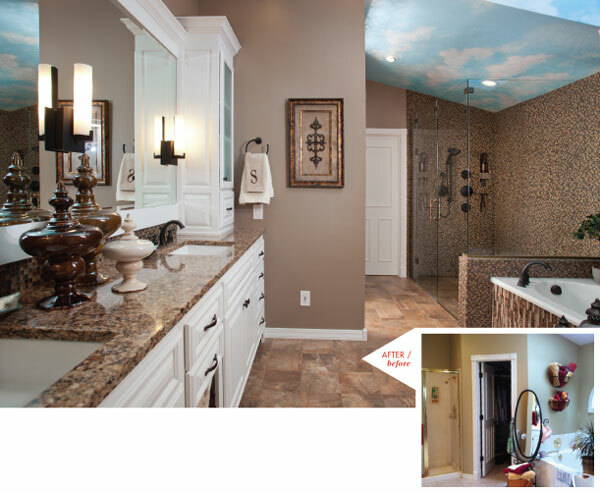 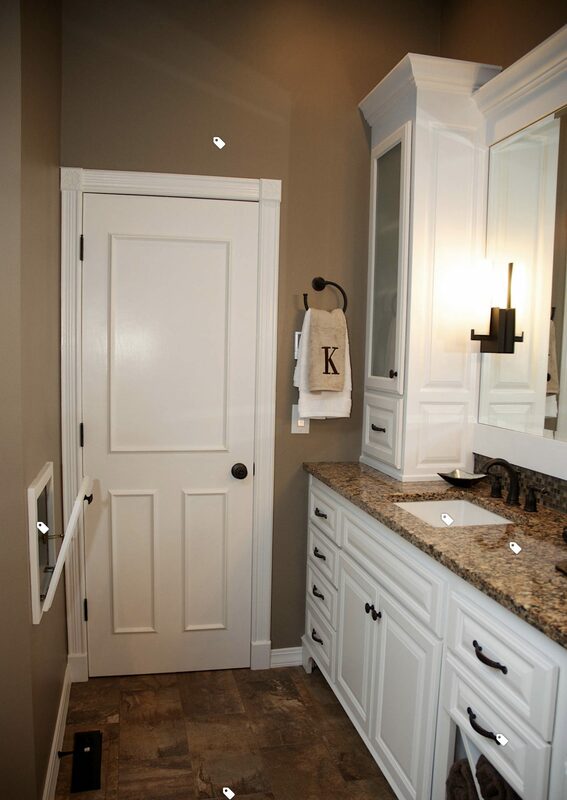 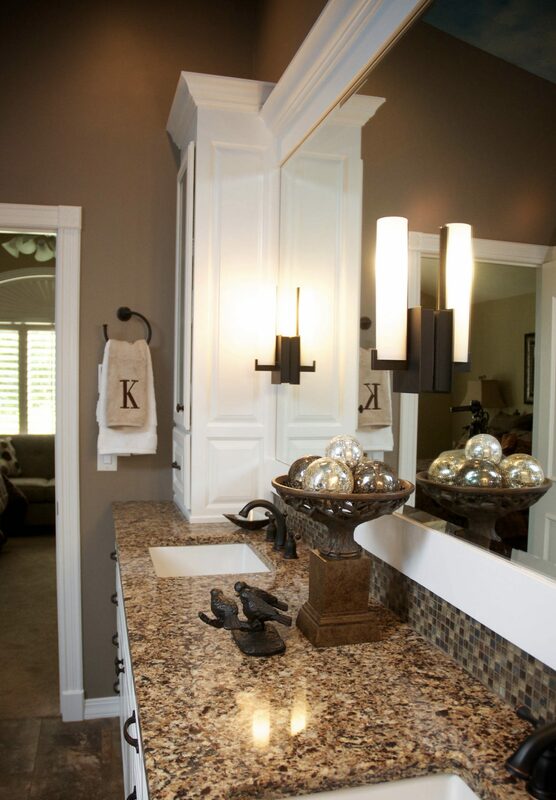 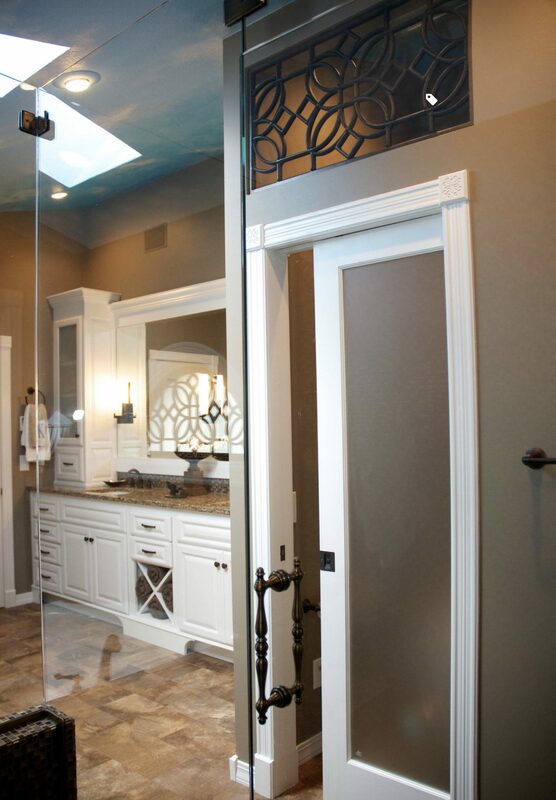 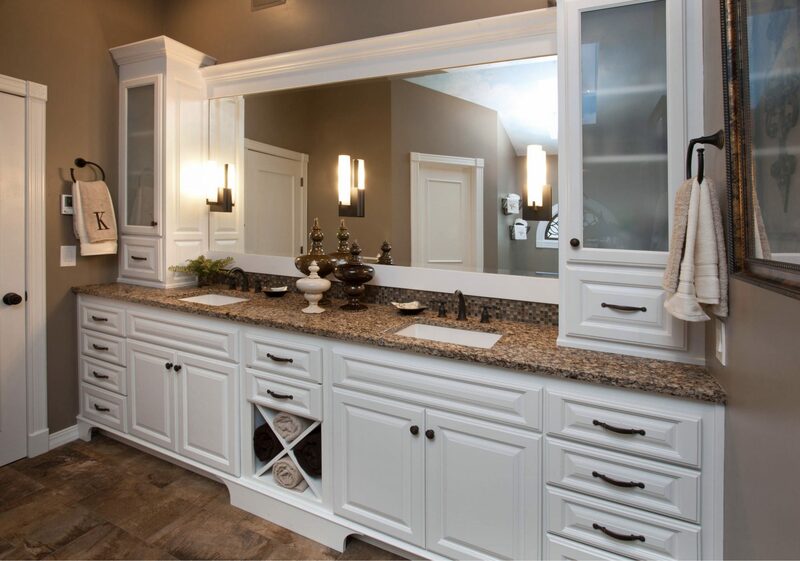 WINNER OF THE 417HOME “Best Makeovers & Remodels: 2013“. 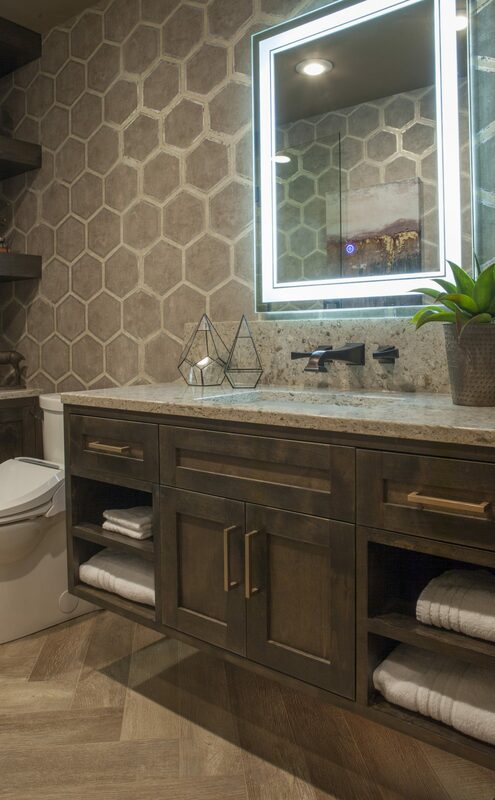 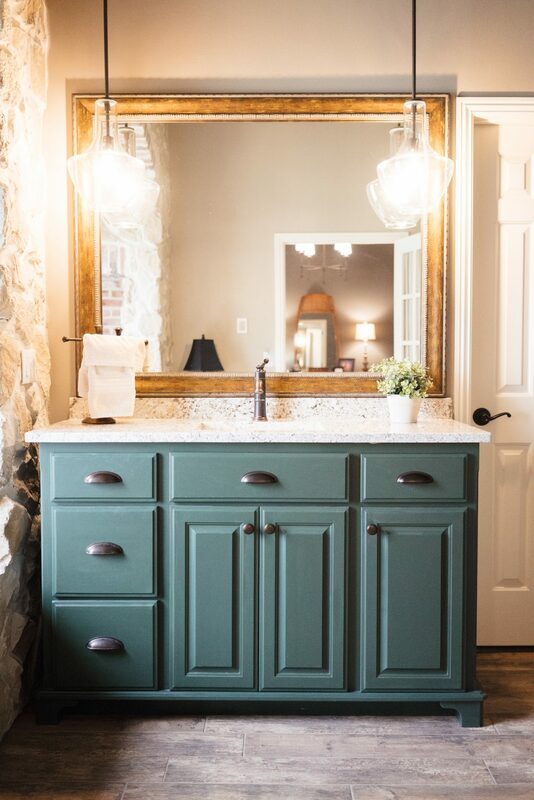 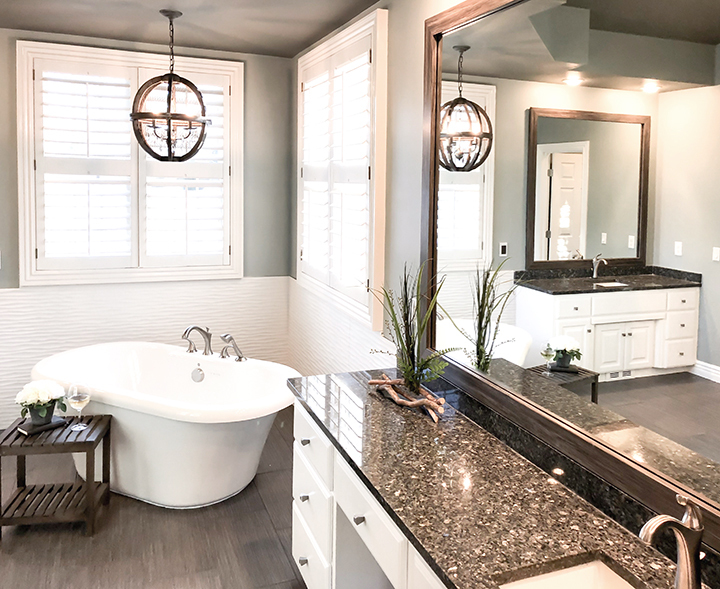 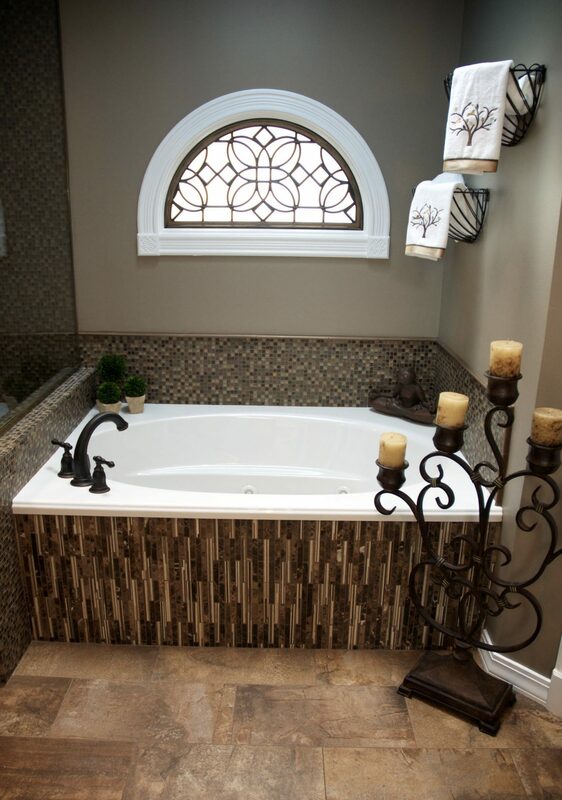 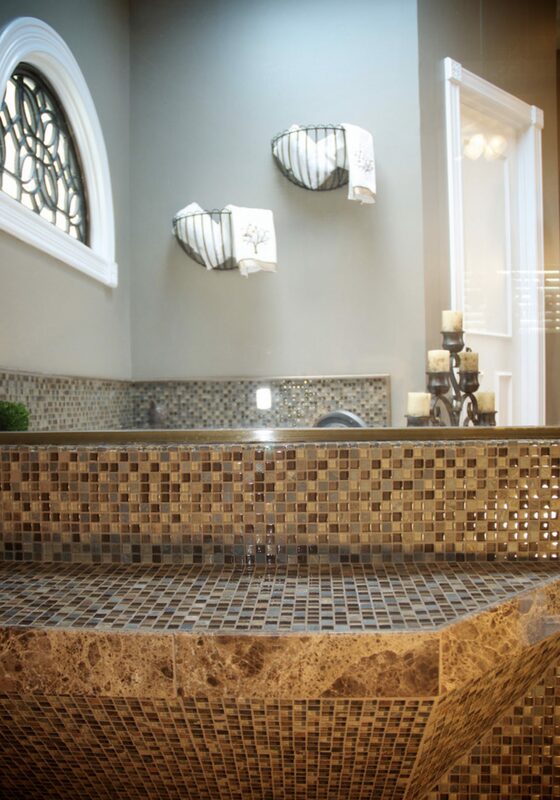 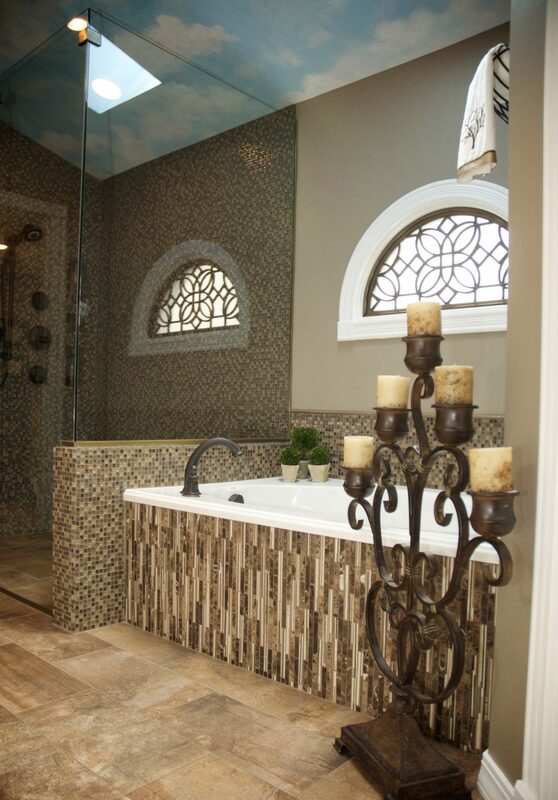 The spa-like master bathroom features neutral colors that are accented with a combination of stone, marble and glass mosaic tile set on a radiant heated floor. 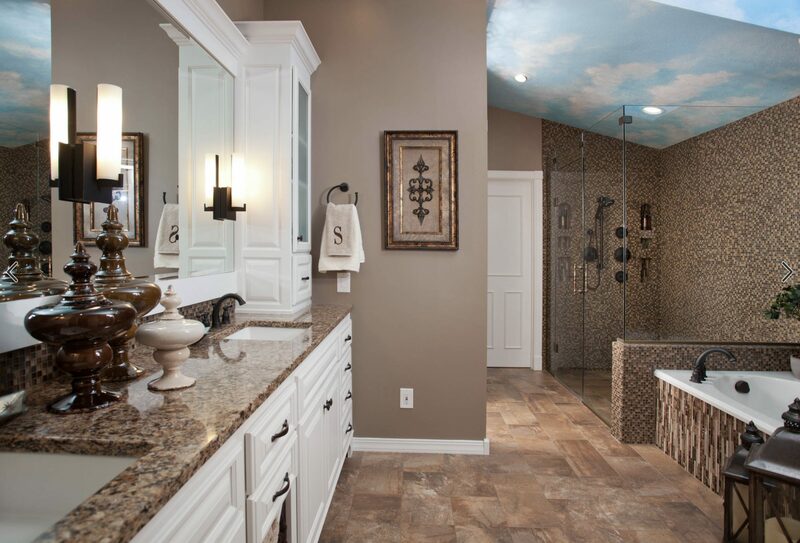 The sloped ceiling features a realistic sky mural. 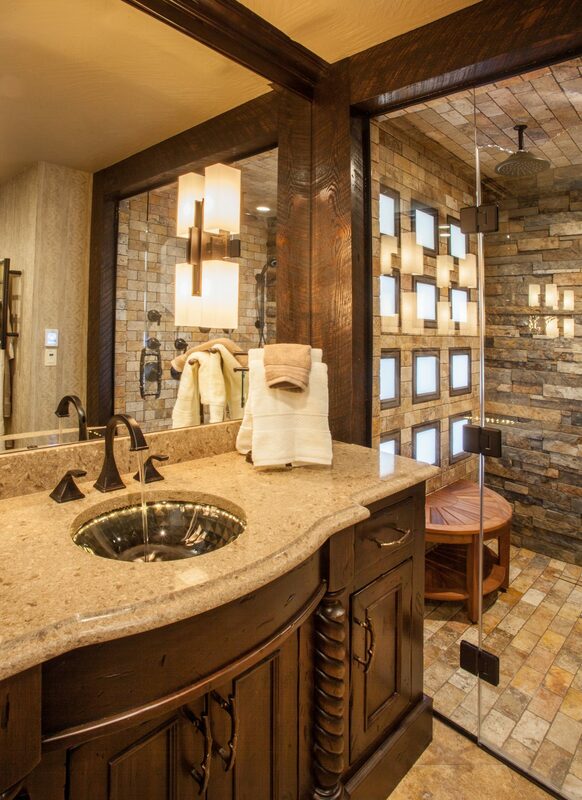 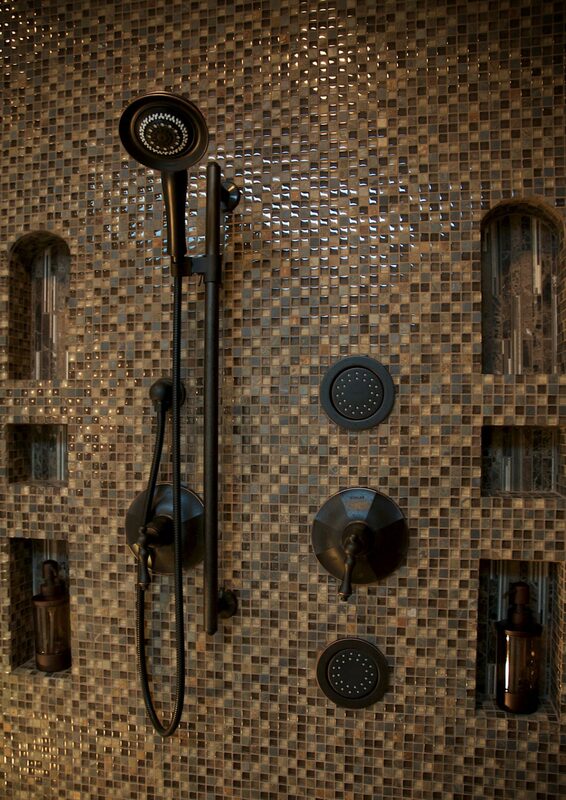 The zero-entry shower features contemporary tile and drain and a custom shower seat. 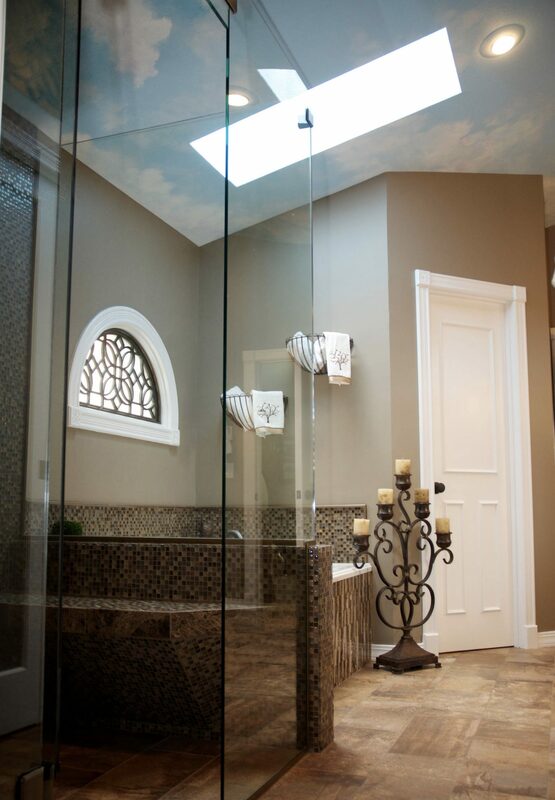 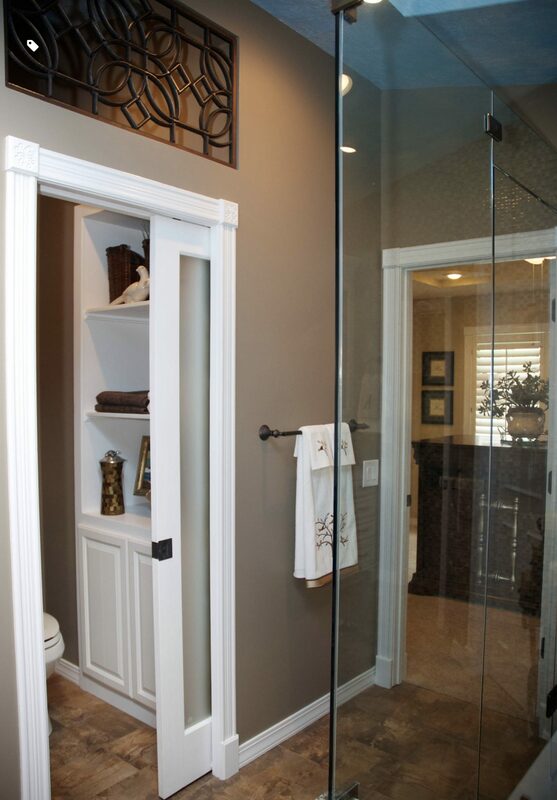 The large glass-enclosed shower surround extends the visual space.